UPDATE – According to a contact at GameStop, the current wave of Amiibo have been delayed until later this month, so fingers crossed to actually seeing them by the end of February. The only information that was offered for the lack of stock was that the warehouse itself had not received any additional inventory outside of the Bowsers and R&L. 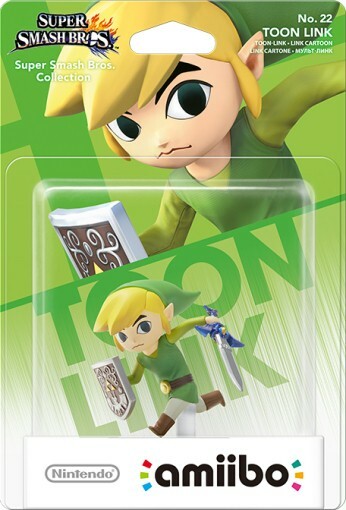 I, fearing the low stock of certain characters, pre-ordered a Toon Link Amiibo through Amazon months before the release. This morning I received an email informing me that the figure was still not in stock and that if I still wanted to wait on it to confirm…Needless to say I DID confirm and I will patiently wait to receive my Amiibo, but I think this may be my final Amiibo planned purchase (aside from the Mario Party 10 Yoshi for my fiancée). What is happening Nintendo? Did you not have the supply needed for not only the demand (because that never happens) but even the initial release? I can understand not having an over abundance of figures but not even having a reason for their obvious absence leaves me believing that you are no longer the once great company that I had endless faith in. Sure these are just semi-useless toys, but what is stopping this from trickling down to the bigger purchases; games, handhelds, full console releases…along with these recent Amiibo issues, following the announcement of the Majora’s Mask collector’s NEW 3DS XL, pre-sale stock was gone in a matter of hours, and those that didn’t have the full amount upfront missed out. So as a Nintendo Fanboy I just want to say, Get your crap together Nintendo.